Have you ever needed crutches? I hadn't, until a week ago. I'm pretty sure I strained a muscle while running a half-marathon. (That sounds kind of cool, doesn't it? I'm not actually that cool; the last time I strained a muscle it was from carrying too many shopping bags at once.) 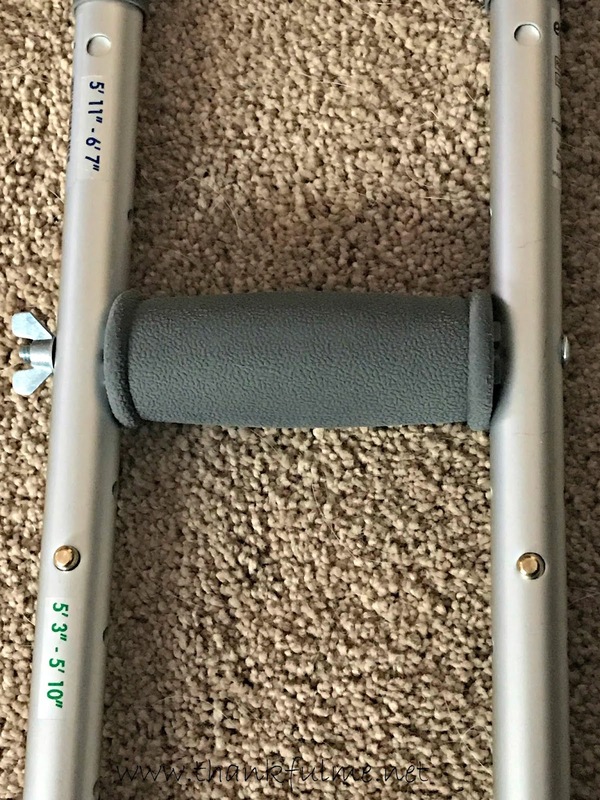 In any case, I found myself in need of some crutches. I sent my husband to the store to get some. Not that crutches are all that complex, but because I hadn't used any before, I wondered if I could figure out how to adjust them to fit me properly. I shouldn't have worried. After that, I made a similar adjustment on the bottom part of the crutch, matching my exact height. By following those steps, I found near-instant relief, and I'm happy to say, I don't need the crutches anymore. What simple item are you thankful for today? 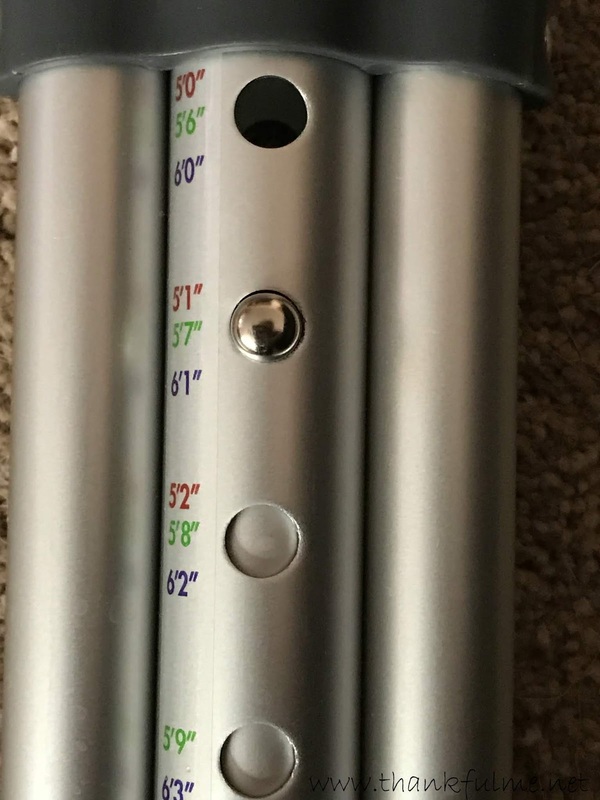 Nice feature on the crutches for correct adjustments. I'm thrilled you no longer need them. I thought it was a nice feature, too. I guess they have a generic brand for nearly everything these days! I use a lot of generic brands if it saves money and does the same job.